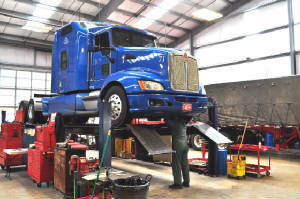 24 HOUR MOBILE TRUCK REPAIR AVAILABLE! WE ALSO OFFER PILOT CAR SERVICES! 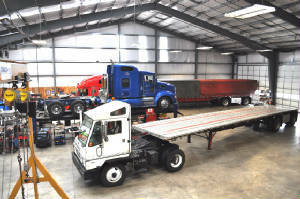 Our state of the art 10,000sq ft. shop is fully equipped to tackle any of your truck, trailer, or construction and agricultural equipment needs. 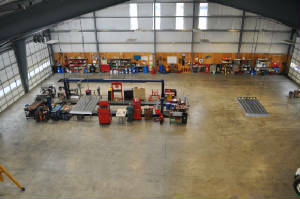 It features 2 100ft pull through bays, a 30ft 35,000lbs capacity truck and RV lift, a 35ft in floor pit, and more than enough room to accommodate any piece of equipment you need repaired. 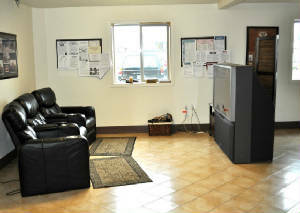 When you come to AWI, we want you to be able to relax and unwind while we work on your vehicle. 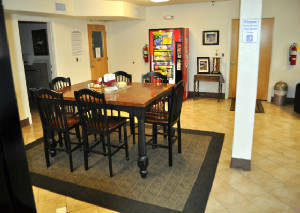 We invite you to make yourself at home, and enjoy the many amenities that our driver's lounge has to offer. 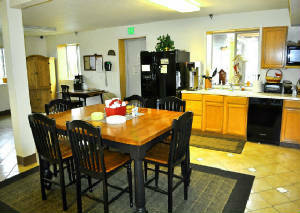 There you will find a clean, inviting, and almost too comfortable setting. So sit down, put your feet up, and enjoy a quick snooze, or catch up on your favorite TV show, while relaxing in one of our "dangerously comfy" electronic theater recliners, positioned in front of a big screen TV. The kitchen area is fully equipped, with any appliances and utensils that you might need to prepare and enjoy that meal or snack that you've been craving. We always have a fresh pot of Allann Bros. coffee waiting for you to sip on while you wait. 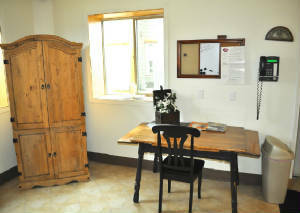 There's a table and desk to provide plenty of space to use your laptop, or catch up on your paperwork if needed. For your convenience there's a phone provided for local and toll free calls. Long distance calls do require a calling card. 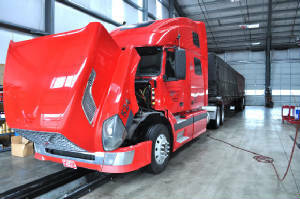 We truly value and appreciate our dedicated customers, and look forward to the opportunity of earning your business! 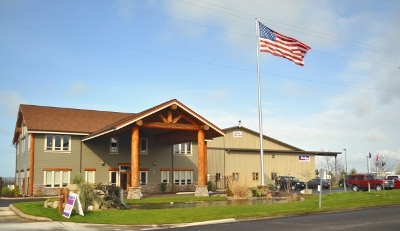 Give us a call today if you have any questions, or if you are ready to schedule your next appointment with US! Just ask for Sara, our shop manager. From all of us here at AWI Diesel Truck Repair, we thank you for taking a moment to check us out, and see just what we have to offer you! We greatly look forward to doing business with you in the future! Keep up with us on these sites too!